by Sarah - March 1st, 2014. With its hand crafted, banana leaf frame, our Copacabana range of conservatory furniture is both beautiful and quality made. 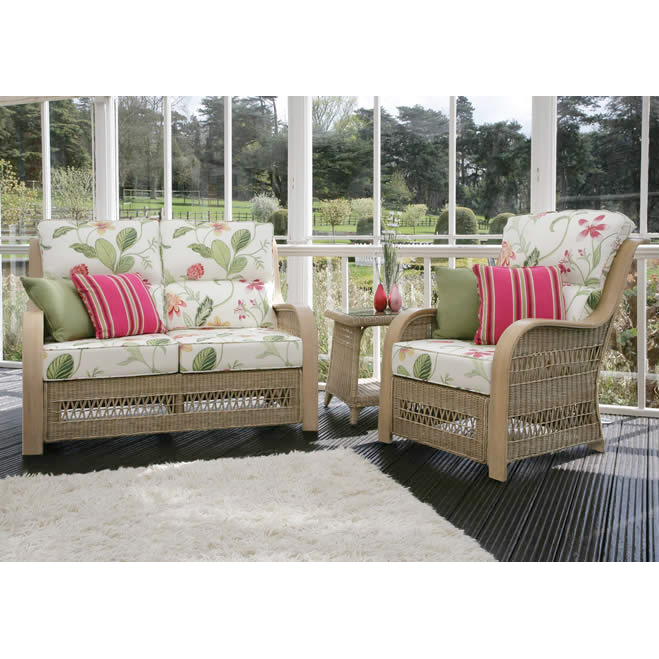 This two seater sofa and chair set is ideal for those who want to add a new dimension to their conservatory with a product that exudes excellence.A light, banana leaf construction allows these items to be moved into place with ease whilst subtle colours of green and yellow fabric will fit perfectly into any living area. All covers are zipped for easy removal and cleaning (washable at 30 degrees). They are even reversible to save valuable time and effort.Indoor use only. *Does not include scatter cushions or lamp table*Dimensions:Two Seater Sofa: W200cm x D86cm x H80cmChair: W83cm x D86cm x H80cm *Please note delivery on this item can take upto 4-6 weeks. 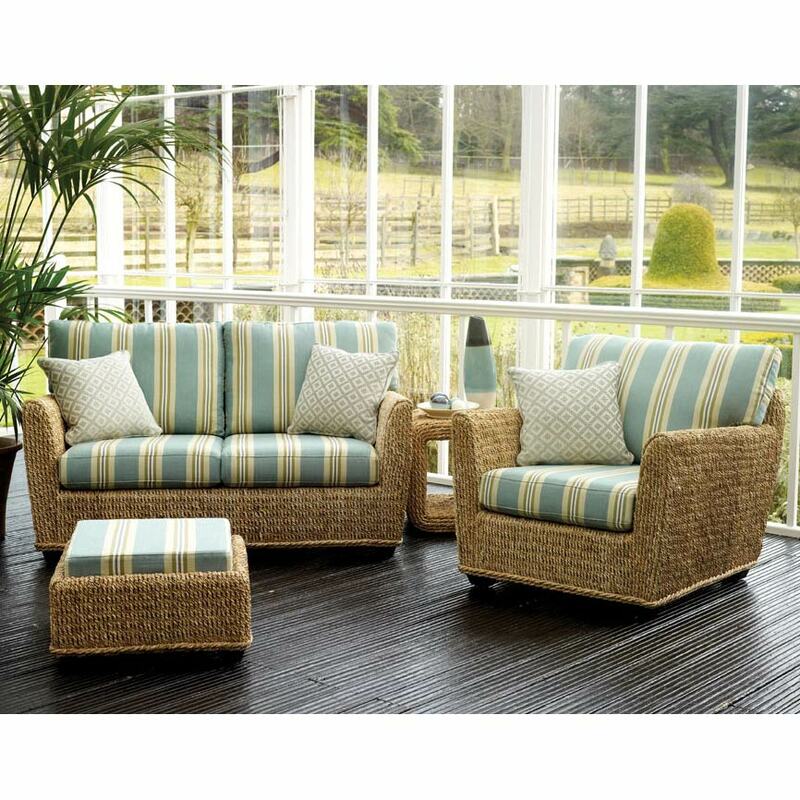 With its high backed suite and lumbar support, our Hartington 2 seater sofa and chair set is ideal for those who want that little bit extra from their conservatory furniture. 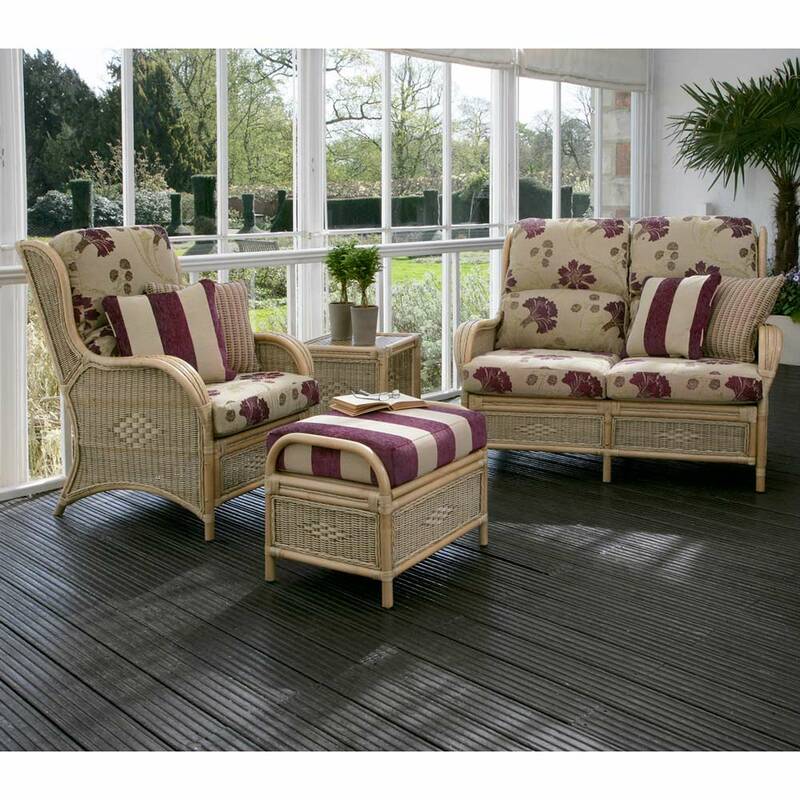 Woven with a natural two-tone rattan, the Hartington will fit beautifully into any kind of conservatory or outhouse setting. A useful lamp table and footstool complete a set that displays quality craftsmanship and excellence throughout. Our stunning Miami Plum fabric is fully reversable for ease of use and cleaning purposes. (Dry Clean only). Our scatter cushions meanwhile, provide great comfort, style and support. Dimensions: Sofa: W133cm x D88cm x H104cm Chair: W73cm x D88cm x H104cm Lamp Table: W45cm x D45cm x H50cm Footstool: W57cm x D45cm x H46cm*Please note delivery on this item can take upto 4-6 weeks. 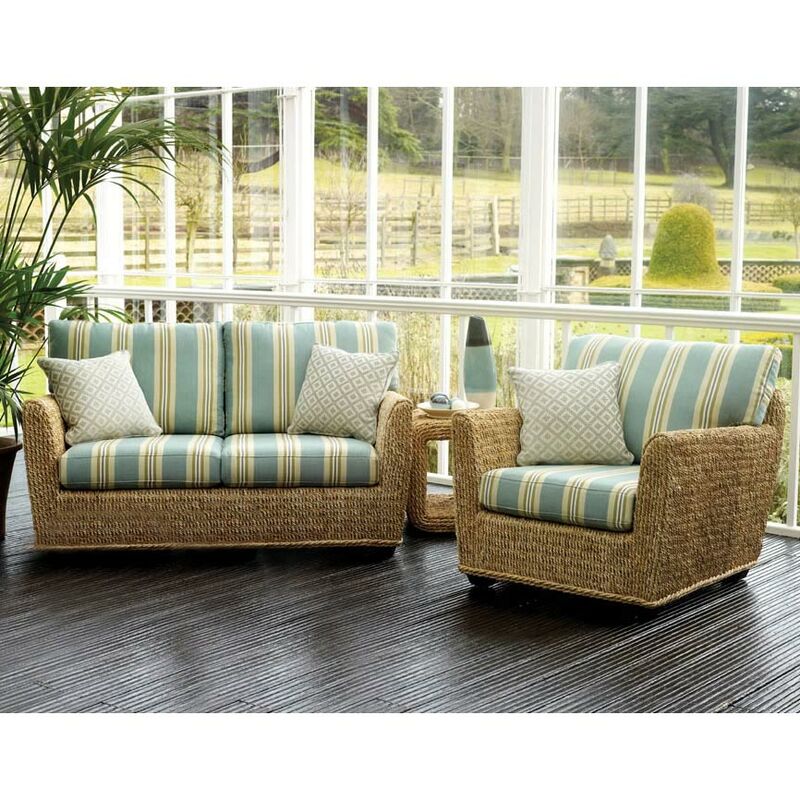 With its hand crafted, banana leaf frame, our Copacabana range of conservatory furniture is both beautiful and quality made. 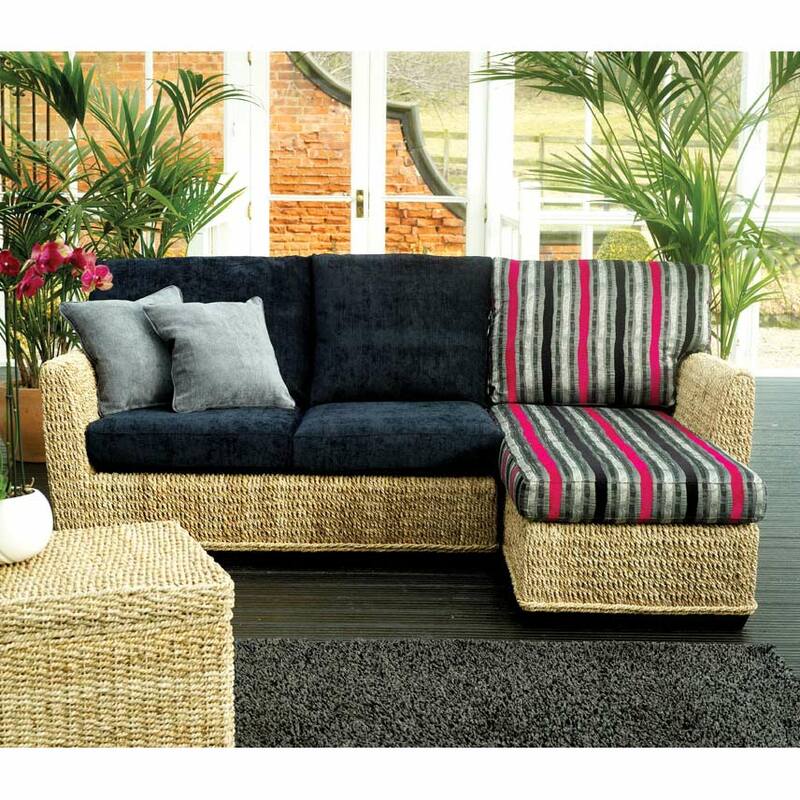 This stunning corner chaise longue is ideal for those who want to add a new dimension to their conservatory with a product that exudes excellence.A light, banana leaf construction allows each chaise to be moved into place with ease whilst striking ebony and black fabric colours will create the perfect impression. All covers are zipped for easy removal and cleaning (dry clean only). They are even reversible to save valuable time and effort.Indoor use only. Also available in black only fabric or striped ebony. Dimensions: Each Chaise: W71cm x D140cm x H80cm Does not include scatter cushions or lamp table. *Please note delivery on this item can take upto 4-6 weeks. 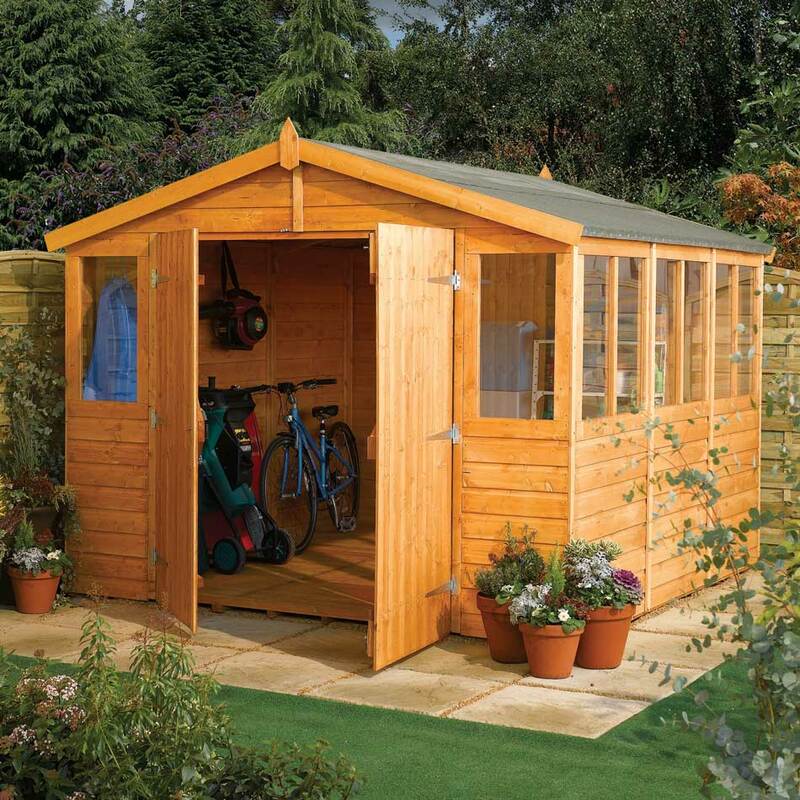 With its high eave design and spacious internal capacity, our 9ft x 12ft workshop is the ideal place to spend time working on your home and garden projects. Two front fixed windows and eight side styrene windows combine with a solid board roof and 12mm shiplap cladding for a fantastic garden structure. 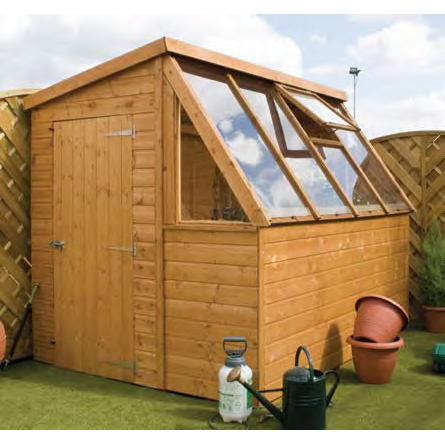 A dipped honey-brown timber finish and lock and key add further quality features to an affordable and practical garden workshop.Features: Ideal for all sizes of gardens. Total of ten styrene windows. Beautiful honey dipped timber finish. Easy access with double front doors. Mineral roofing felt. Dimensions:H235cm x W288cm x D379cm. *Image shows 9ft x 9ft model.